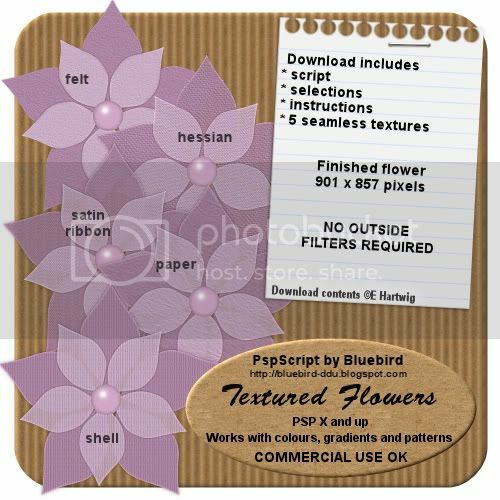 I have a new flower script available in all the stores. The script comes with 5 different textures you can use to customise it with, or you can use your own. NOTE This script does not work in PSP 9. There were some issues with the texture commands that I couldn't get around. The script finishes in layers for you to further customise should you wish to. Now for the freebie. 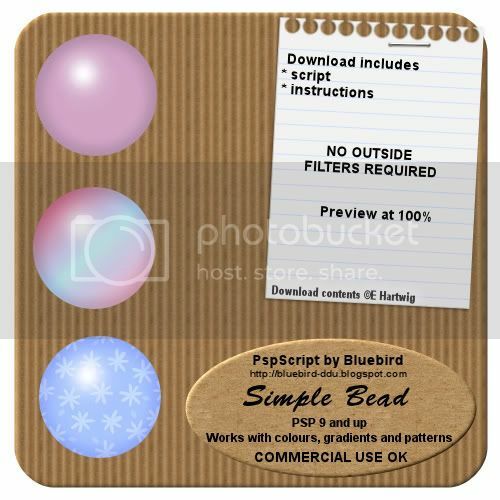 I have a simple bead script for you and it does work in PSP9. The freebie is also available in all the stores or you can DOWNLOAD FROM 4SHARED if it is not causing you any problems.